How long have you been natural and what lead you on this journey? 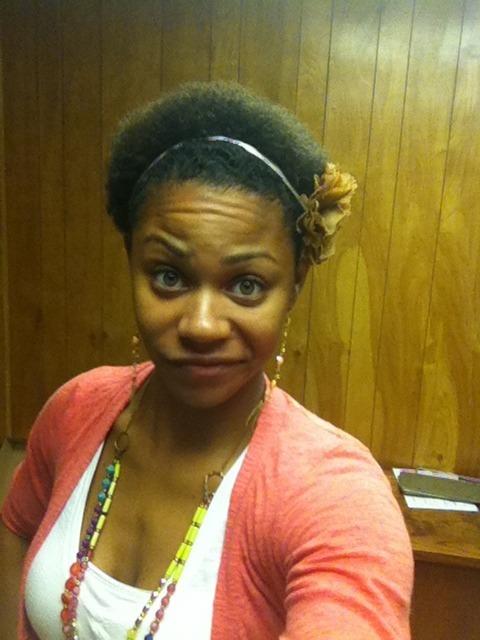 I have been natural for 5 months this past Wednesday, the 12th of December. I decided to go natural for a few reasons. 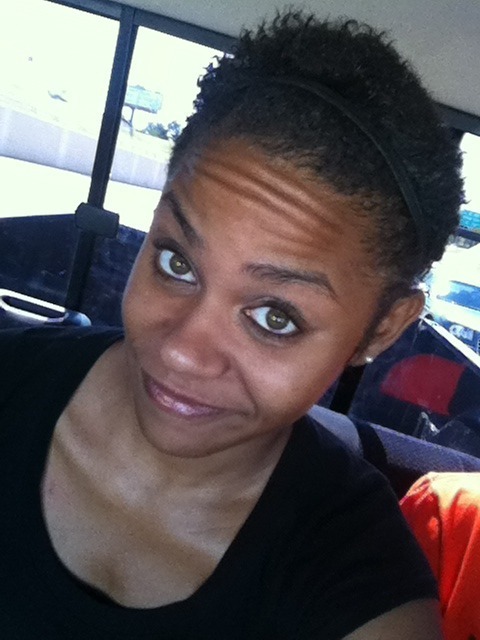 First of all, my hair was completely damaged especially by heat and relaxers. It was beginning to thin out. 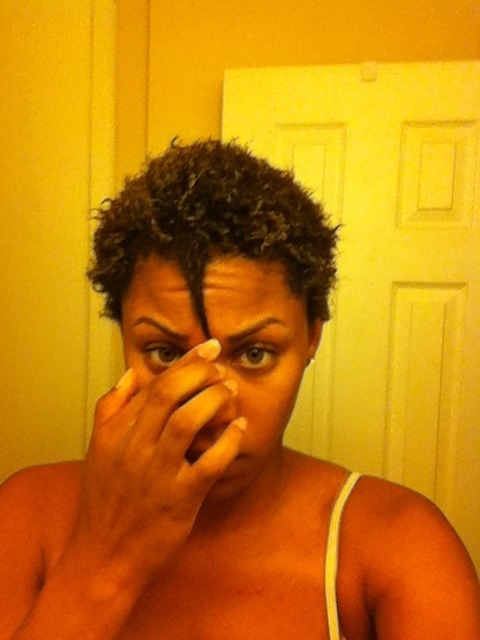 I was left with extremely dry and brittle hair that started breaking off tremendously. How did you approach going natural? I did some research on natural hair by watching a few YouTube videos based upon people’s journey. 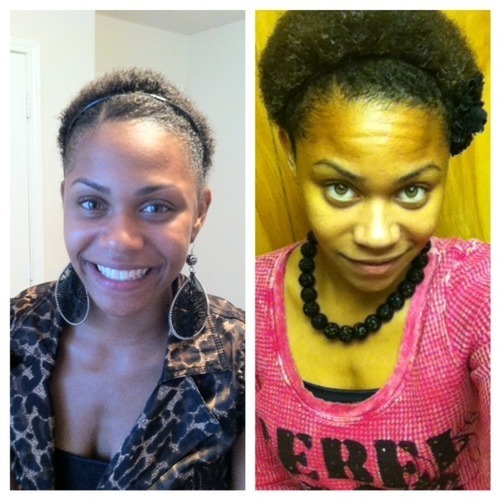 I started transitioning for about 2 months until I became frustrated with having two different textures of hair. I was left with hair about arm pit length, but I wanted longer, healthier hair. I wanted a change, so I decided to BC (big chop). How did the public first respond to your change? Honestly, my mom hated my hair. At first, she cried and asked why would I cut such long hair. I told her it was damaged. After a few days, it began to grow on her. Now, she can’t keep her hands out of it. My friends were shocked. No one thought I’d make the change. They couldn’t believe it, but many of them loved it. They said I had the face for it. There was one of my really close friends who hated it (she’s white), but I didn’t really expect her to understand. My boyfriend loves it; he supported me completely. He’s even been guilty of saying what took me so long to do this :). People at work didn’t really understand it, but with time it grew on them. Now, they look forward to seeing what crazy hairstyle I’m going to wear. The reactions I’ve received are always a joy to see. Overall, I’ve gotten more compliments than negative. It has also helped to boost my modeling career, so I can’t complain. Were there any downsides to your journey? Yes. In the beginning, there was learning how to take care of my hair which was so frustrating. It’s not something you can take lightly. You literally have to put time and effort into your hair if you want positive results from it. There’s figuring out what products work for you, eating healthier, and drinking more water. It was really a whole lifestyle change. I, at times, miss my long hair and wish I could have it back. Being natural required a challenge of being patient and proper maintenance of which I’ve learned. What has being natural taught you about yourself? I am not my hair. You are beautiful the way God made you. I’ve learned to embrace my beauty inside and out. It has also taught me patience. That I don’t need people in my life who don’t like me for who I am. I learned to accept me for who I am whether society does or not. I now understand what it means to truly love yourself for who you really are. Do you have any advice you can give to the natural hair community? Be PATIENT! I cannot stress this enough. Keep your hair moisturized and protected. Above all, embrace your beauty.